Happy Humpday everyone! While you are enjoying Team Stryker Mission 005 I’m hard at work on Mission 006! The entire issue is thumbnailed and the first 6 pages are drawn and inked. This week I’ll be coloring them so hopefully by the time Mission 005 finishes 006 will be ready for you to decrease the delays between issues. 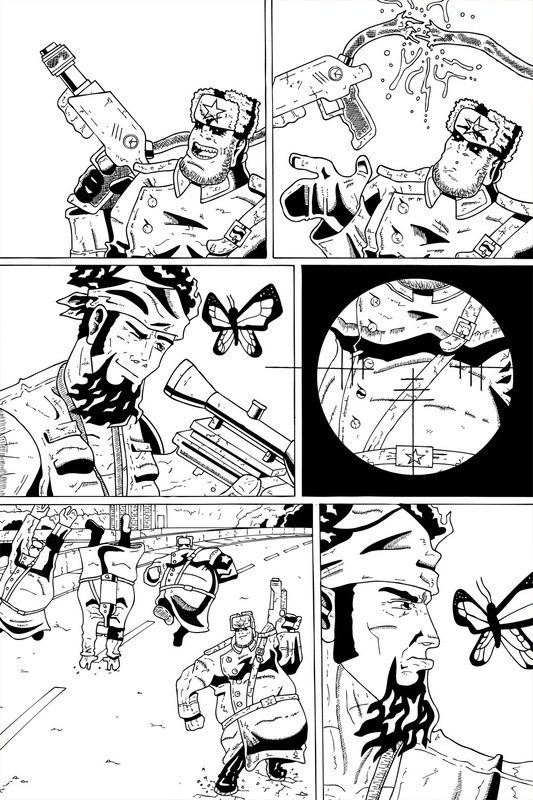 I do the pages in batches of 6 that way you don’t have to wait until the entire issue is finished before you can see what crazy battles Team Stryker has gotten themselves into now. This way I can also makes changes based on feedback I receive from fans. Have a great Humpday and be sure to check out Team Stryker on Friday for the next exciting update!